Last week, the U.S. Food and Drug Administration officially blocked Texas' attempted import of execution drugs. Now, Texas is fighting back in court. Texas is fighting back against a decision from the federal government denying the state’s attempt to import execution drugs. On Wednesday, Texas asked a federal court to declare the ruling from last week as unlawful. The U.S. Food and Drug Administration ruled against Texas on Thursday, claiming the 1,000 vials of sodium thiopental the state tried to import in July 2015 could not be admitted into the United States because they appeared to be unapproved and misbranded. The agency added that the drugs must be exported or destroyed within 90 days. Texas says that ruling is unlawful, according to a complaint filed Wednesday in an existing lawsuit against the agency in the federal district court of southern Texas. And the state, which “intends to continue importing” the drug from overseas, wants the court to step in. The complaint also added that the ruling hurts the Texas Department of Criminal Justice's reputation. “The refusal order has caused, and is substantially likely to continue to cause, adverse publicity that has and will injure TDCJ’s reputation by asserting that TDCJ has attempted to import drugs in violation of federal law,” the complaint stated. Texas' main argument is that the sodium thiopental should be exempt from the FDA's new-drug approval process because the vials were not labeled to “prescribe, recommend, or suggest any conditions of use” for the drug — they are to be used solely in executions. The state also said the drugs should be exempt from the requirement of labeling because they will only be in the hands of the corrections department. “In this case, no labeling warnings are necessary to protect patients, among other things because the drugs at issue will not be used for patient treatment,” the state said. In its ruling last week, the FDA pointed to a 2012 U.S. district court decision that kept it from using any discretion in deciding whether to allow the import of sodium thiopental for lethal injection usage. “The court order requires the FDA to refuse admission to the U.S. any shipment of foreign manufactured sodium thiopental being offered for importation that appears to be an unapproved new drug or a misbranded drug,” said spokeswoman Lyndsay Meyer in a prepared statement. Sodium thiopental hasn’t been used in an execution in Texas or the rest of the country since 2011, when the only U.S. manufacturer stopped selling it because of its use in lethal injections. 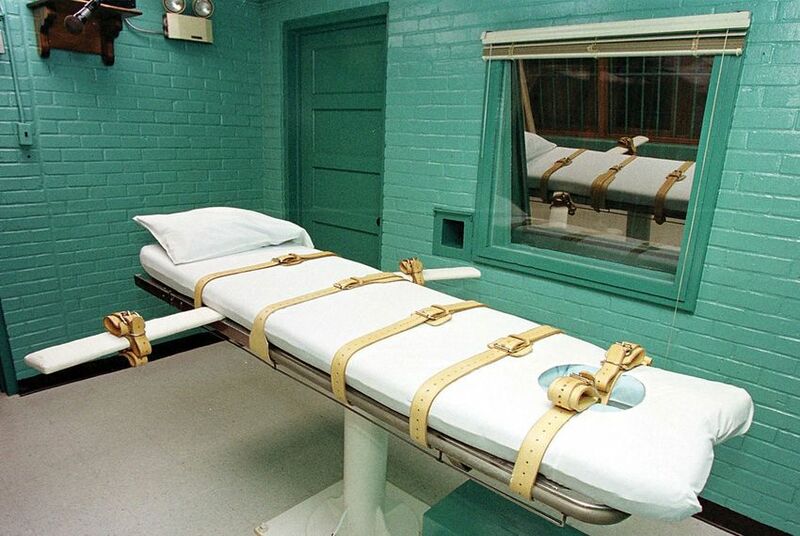 Since 2012, Texas has used a single dose of pentobarbital to put an inmate to death, but with states throughout the country struggling to find execution drugs, it’s looking to get sodium thiopental as another potential option in lethal injections. More than a year after the feds blocked Texas from importing an execution drug, Texas filed a lawsuit in January demanding a final decision on whether the drugs can be delivered. Texas currently has 18 doses of execution drugs in stock. With execution drugs in short supply across the nation and increasing secrecy about the companies that provide them, The Texas Tribune is keeping track of movement in the state’s supply.